Peter Jarrette’s Brighton Babylon reads like a sitcom in novel form. Each chapter is a different anecdotal story about his life, featuring his group of friends who embody the vibrancy and uniqueness of true Brightonians. The coolness of these characters oozes from the pages. They are the life and soul of the Brighton social scene, flitting from job to job, partying and flirting outrageously with each other. 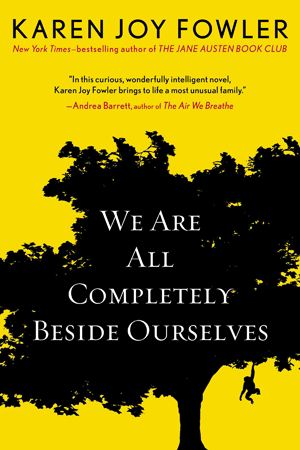 Jarrette’s portrayal of the outlandish situations within the book are belly achingly funny and vivid- I could almost imagine myself being there with them. I’ve frequently visited Brighton so the places within Jarrette’s book seemed familiar to me, however, I don’t think you can truly see Brighton unless you look at it through the eyes of someone who lives there. Brightonians have a knack of making everything about the city romantic somehow. Take for example Jarrette’s descriptions of the tramps that live opposite his flat- gross, drunken and urine stained though they are, he describes them with fondness grown from having become so used to seeing them as part of his Brighton world. 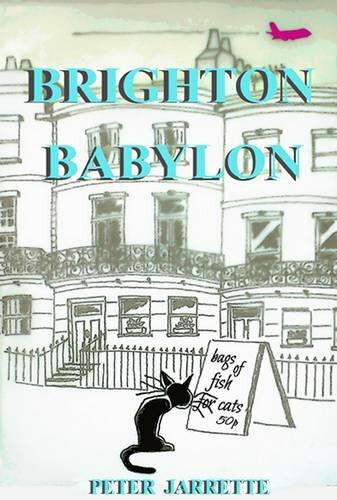 Brighton Babylon is described as being a novel. However, from the little I know about Peter Jarrette (who incidentally is somewhat of a Brighton celebrity) and the fact the main character in the book is called Peter Jarrette, I kind of got the impression that he has borrowed most, if not all, of these stories from his real life. The chapter in which he discusses being given a gagging order by an old employer to prevent him discussing them in his new book also added weight to my suspicion. Whether wrong or right, I found that this made the book more enjoyable for me. I loved the idea that these frankly barmy people actually existed in real life, and if you’ve ever been to Brighton you can quite well believe that they do. The wonderful characters that inhabit Brighton are what make it such a unique and wonderful city, and Jarrette has encapsulated this perfectly in his book.